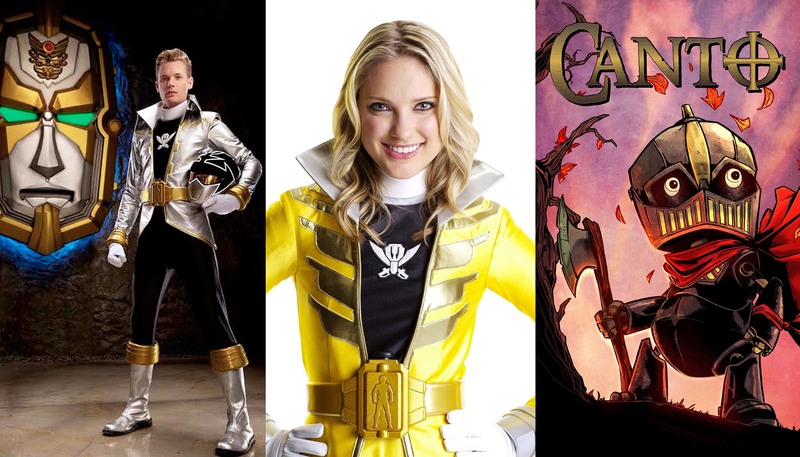 CIARA HANNA: She played the role of Gia Moran, the Yellow Power Ranger, in Power Rangers Megaforce and also Power Rangers Ninja Steel. Has also acted on TV series Hawaii Five-O, New Girl, and Anger Management, among many others. CAMERON JEBO: He is an actor who has played parts in NCIS (2003), Austin & Ally (2011) and Power Rangers Megaforce (2013). DAVID BOOHER: Comic book writer; creator of CANTO, and has written for the titles Alien Bounty Hunter and Powerless.